We had a situation where we need to load data into the tables in one of our database. There were a few triggers created on these tables for insert, update and delete and these triggers are set as “NOT FOR REPLICATION”. While loading data into the tables we do not want these triggers to be fired. We thought of disabling the triggers on the tables but this will disable them for other user transactions as well. We want them not to be fired only for my session from which I am executing data loading script. In this article let see how to disable triggers in SQL Server for a specific. We need to understand about “NOT FOR REPLICATION” concept in SQL Server first. NOT FOR REPLICATION can be used while creating triggers in SQL Server. This indicates that these triggers are not fired when replication agent do data modifications (INSERT / UPDATE / DELETE) on the table. Not only for triggers in SQL Server, this hint can also be used while creating foreign keys, identity columns and check constraints. 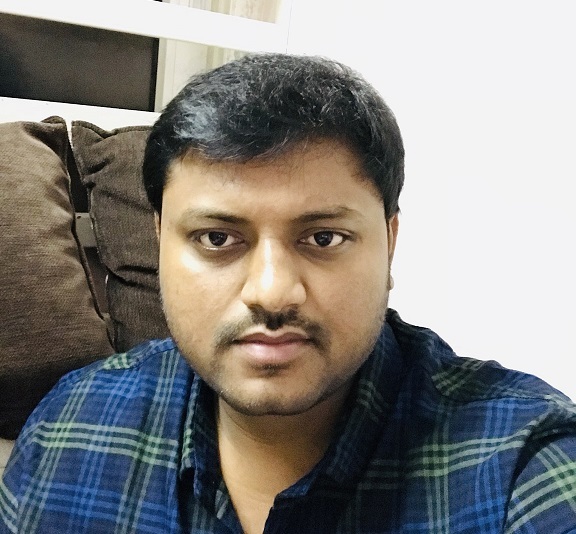 In case of identity columns, a new identity value is not generated when replication agent insert data into the table and the original identity value which is generated at source is used. To illustrate this, I will create two sample tables “Emp” and “EmpJoining” and a trigger on “Emp” table which is fired to insert joining date when a new row is inserted in “Emp” table. Now for example, I have the employee id, name and their joining date in other system which needs to be imported into above existing tables. In this case I do not want the trigger logic to be fired when I am inserting data into Emp table. 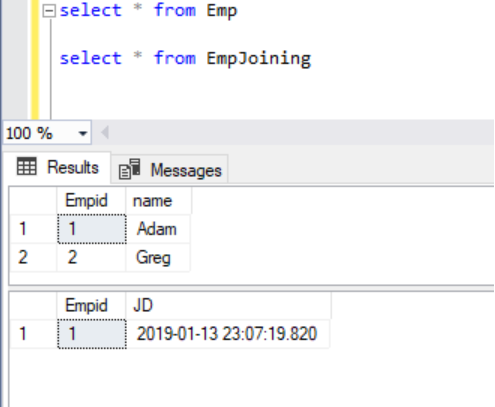 Basically, I have T-SQL insert script for both these tables which inserts employee id name in “Emp” table and their joining dates in “EmpJoining” table. Let us log in as normal user and execute T-SQL script to insert data into the table. Open SQL Server management studio. Now login to the SQL Server as a normal user and use the database where you created table. Use below script to insert data into Emp table and check whether trigger is fired or not. we can see the trigger is fired and inserted data in EmpJoining table. We can check the session property using below script. it will return zero if we login as normal user and it returns one if we login as replication agent. Now let us login as replication agent and insert data using script. Close SQL server management studio and re-open it. Input server, login, and password you want to use. click on options. Please refer to below image. Navigate to additional connection parameters tab. In additional connection parameters table enter REPLICATION=TRUE in text box as shown in the below image. You can use your preferred login method either windows authentication or SQL Server authentication. This will login you as replication agent and any DML operation you perform on table will be executed as replication agent. Now execute below query to check whether you are logged in as a replication agent or not. Now insert few rows using below script. We can see the trigger is not fired as we logged in as replication agent and trigger is set as “NOT FOR REPLCIATION”. The data is inserted in only Emp table. Please refer to below image. Here in this case the trigger is not disabled and available for other user transactions which will fire trigger when there is an INSERT. The trigger is not fired only for the transaction which is executed as replication agent. Use below query to check if your trigger is marked as “NOT FOR REPLCIATION” or not. There are other ways to disable triggers in SQL Server for a session by handling code with conditions. For example you can use CONTEXT_INFO() in the trigger code and return. Using CONTEXT_INFO() requires no special permissions. In this case, If the CONTEXT_INFO matches with value specified in the trigger the trigger returns and does not execute code below. Please refer to below code. In this case we must set the context_info value to 0x1256698456 before inserting data into the table “Emp”. The following system views also store the context information, but querying these views directly requires SELECT and VIEW SERVER STATE permissions. Instead of T-SQL INSERT script, let us assume the data is .txt file or .csv file. We can use BCP UTILITY or BULK INSERT options to load data into tables without firing the triggers. We can use BCP utility to load bulk data into table without firing triggers in SQL Server. This method will work only for INSERTS on the table and do not fire triggers created “for insert” and “instead of insert”. By default, BCP utility does not fire triggers on loading data into tables. To force trigger execution, we should use -h “FIRE_TRIGGERS” in BCP while loading data into table. Below are sample tables used in this example. Please refer to the below example of default BCP to load data into “USERS” table which will not fire triggers in SQL Server. I have masked the original server, database names and login credentials. Please refer to the below example of BCP with hint “FIRE_TRIGGERS” to load data into USERS table which will fire triggers. This option also will work only for INSERTS on the table and do not fire triggers created “for insert” and “instead of insert”. I have test.txt file which as data with “,” as FIELDTERMINATOR. Please refer to below code for default BULK INSERT to load data into USERS table which will not fire triggers in SQL Server. Please refer to the below code with hint “FIRE_TRIGGERS” which will fire triggers in SQL Server when loading data from test.txt file. In this article we discussed the behavior of triggers in SQL Server for below cases. Login as replication agent and trigger is set as not for replication. Using CONTEXT_INFO function in the trigger code. For points 3, 4 and 5 no matter if we create triggers with “NOT FOR REPLICATION” or not. Are SQL Server database triggers evil?